Be Price Confident – sell without ever discounting again! Why am I more important than I was a month ago? Because clearly I am! And, before you start to mutter under your breath about me having over-inflated ideas of my own value, a lot of it is to do with perception. OK, so let’s have a look at this curious statement; in many ways, I am no different from the Janet who existed one month ago. Of course I have roughly a month’s more life experience (I’m a month older though, so maybe that’s not so good). I have achieved some good things in the last 4 weeks and I hope I’ve spread a little happiness among my friends and some prosperity among my clients, but so far, so normal. So why do I make this claim? Well it’s all to do with having published a book. Now, I’ll be honest, I didn’t think it was a huge deal – I have self-published before – it was a good experience and I did sell a lot of copies, but the reaction this time is quite different. I’ll give you a little background. About 18 months ago, I was due to collaborate with a colleague to produce some sales materials for coaches. I was to write a book, she would get the copywriting, editing, layout, design, print and distribution sorted. So far so good. However, for various reasons, even though I wrote the materials, we struggled with the remaining logistics. So there I was, with a complete book written, but just sitting there, needing a little TLC. So that brings me back to my original question – why am I more important than I was a month ago? Well, of course you know by now that I’m not, but what has absolutely changed is people’s perception. The announcement of my book has been met with tremendous enthusiasm, positivity, interest and congratulatory comments. There have also been a few people who have made comments like “about time” and “you needed to do this” and “now you can help more people”. Also, on platforms like LinkedIn, I can call myself ‘author’ should I so wish. So in many ways, the point of this article is to encourage you, if you have an area of expertise, to consider writing a book too. 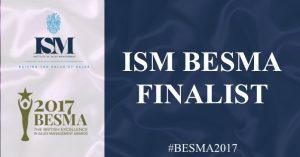 It cements your authority as an expert in your field, helps you reach more people and, if you are like me, gives you a wonderful warm feeling when other people appreciate and congratulate you on what you have done. Hey – and who knows – it could even become a best seller! I would also like to say a huge THANK YOU to everyone who has been so supportive – it really is the interaction with people that makes this whole thing so worthwhile! 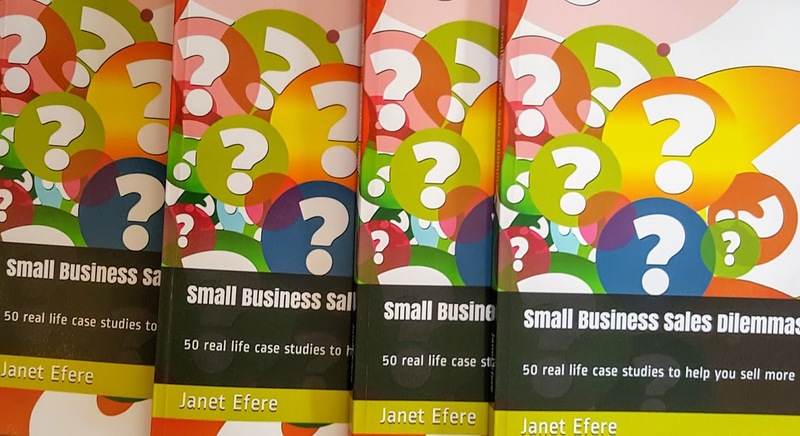 If you would like the chance to win a copy of my book: Small Business Sales Dilemmas (50 real life case studies to help you sell more) then please fill out this short survey and I will be doing a draw on 6th September. Good luck! If that’s too long to wait and you just have to get your hands on a copy right now, then you can purchase your copy (hardback and Kindle) here. Thank you! Janet Efere is an award-winning sales trainer and coach based in North London.